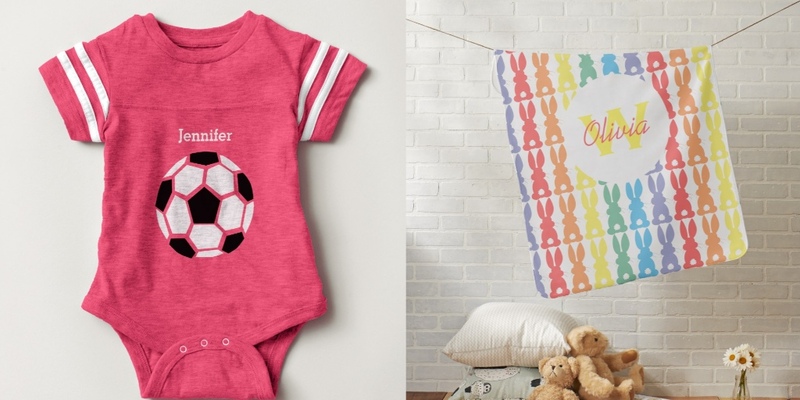 Adorable, personalized baby gifts, matching baby onesies, burp cloths, bibs and stroller blankets. Designs include koala bears, pigs, robots, monsters, bunnies, giraffes and sports themes. Showing 1 - 140 of 140 products.